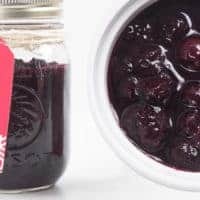 Learn how to make Yumilicious Instant Pot Blueberry Compote Recipe (Pressure Cooker Blueberry Compote). 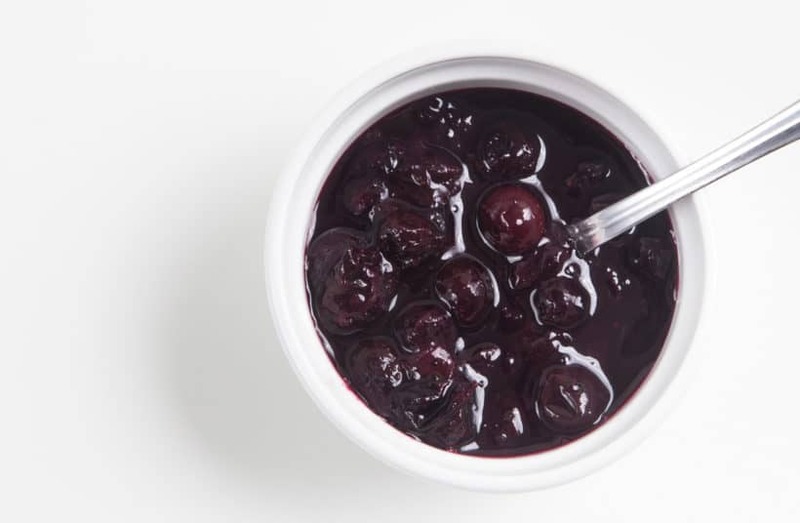 5-ingredient Sweet Blueberry Sauce will lure you to your next bite. 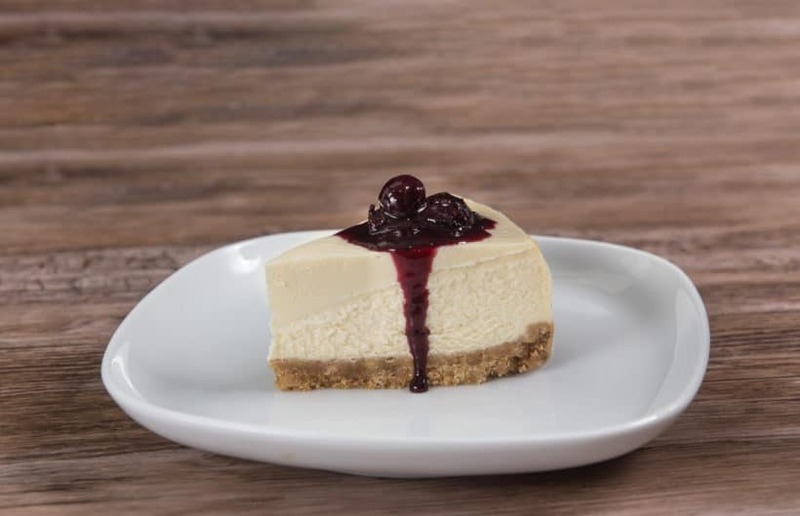 Great topping for cheesecake, yogurt, pancakes, waffles, ice-cream. Great DIY Christmas Gifts! Our third #ChristmasGive Challenge Recipe: Instant Pot Blueberry Compote Recipe! For December, we’ll be publishing a series of New Instant Pot #ChristmasGive Recipes. 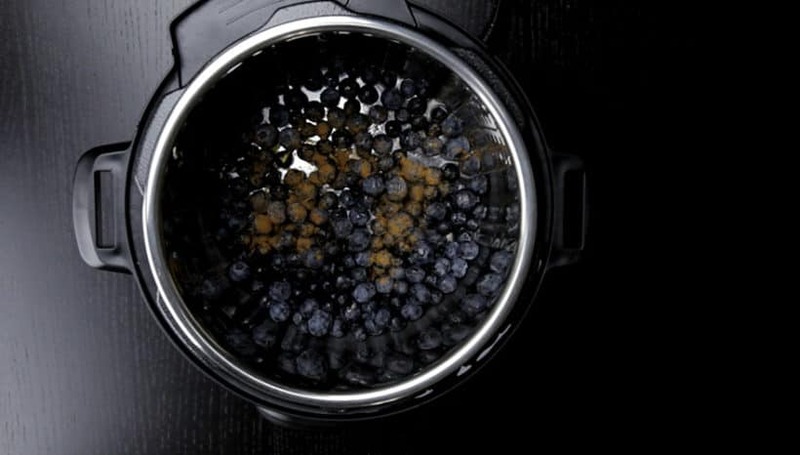 Rinse 1lb (454g) Blueberries under cold running water. If desired, reserve ⅓ blueberries (for texture) and place remaining blueberries in Instant Pot. Add 1 tsp (2g) lemon zest, ¼ tsp cinnamon powder, a pinch of salt, and 27ml (~2 tbsp) freshly squeezed lemon juice in the Instant Pot. 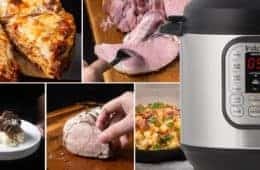 Pressure Cooking Method: High Pressure for 1 minute, then 10 minutes Natural Release. *Pro Tip: The floating valve (metal pin) will drop at around the 7 – 8 minutes mark. Don’t open the lid until the full 10 minutes is over. 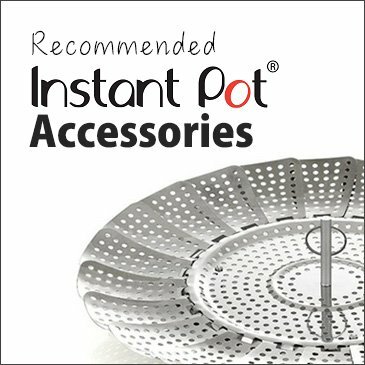 Turn heat to medium (Instant Pot: Click Cancel button, then Sauté button). Stir and break the blueberries with a wooden spoon. Add in the remaining blueberries. Taste the sweetness. You may not need to add any sweetener. 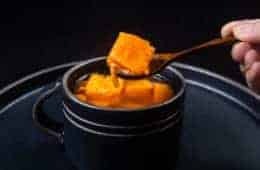 If it is not sweet enough, add in roughly 2 tbsp (30ml) maple syrup OR 2 tbsp (25g) white sugar (stir and taste after every tablespoon). Stir a few times to thicken the blueberry compote. Taste and add more sweetener if desired. *Pro Tip: when the blueberry sauce turns glossy, it’s a hint it’s done. If it looks a bit thinner than your desired consistency, keep in mind that it’ll further thicken a little as it cools. The blueberry compote will thicken as it cools down. 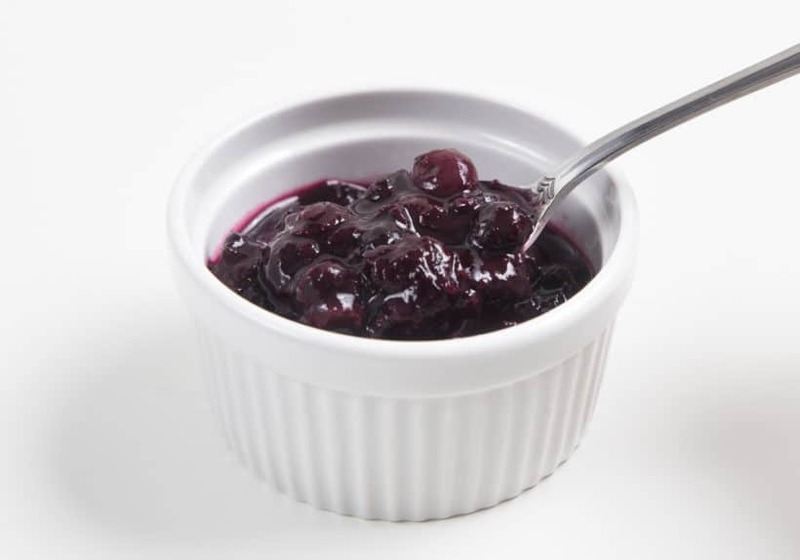 *Storage Tip: Homemade blueberry compote can be store in the fridge for 10 – 12 days. 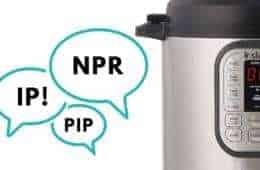 Pressure Cook Blueberries: If desired, reserve ⅓ blueberries (for texture) and place remaining blueberries in Instant Pot. Add 1 tsp (2g) lemon zest, ¼ tsp cinnamon powder, a pinch of salt, and 27ml (~2 tbsp) freshly squeezed lemon juice in the Instant Pot.Close lid and pressure cook at High Pressure for 1 minute, then 10 minutes Natural Release. The floating valve (metal pin) will drop at around the 7 – 8 minutes mark. Don’t open the lid until the full 10 minutes is over. Open the lid carefully. 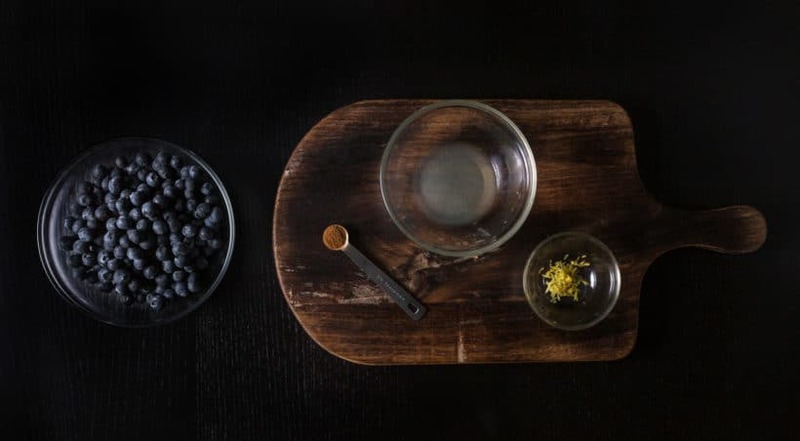 Make Instant Pot Blueberry Compote: Turn heat to medium (Instant Pot: Click Cancel button, then Sauté button). Stir and break the blueberries with a wooden spoon. Add in the remaining blueberries. Taste the sweetness. You may not need to add any sweetener. If it is not sweet enough, add in roughly 2 tbsp (30ml) maple syrup OR 2 tbsp (25g) white sugar (stir and taste after every tablespoon). Stir a few times to thicken the blueberry compote. Taste and add more sweetener if desired. 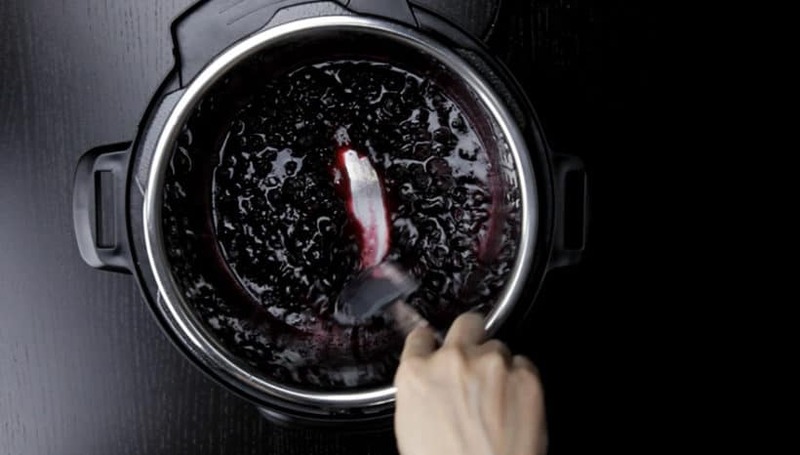 Chill & Store: The blueberry compote will thicken as it cools down. Homemade blueberry compote can be store in the fridge for 10 - 12 days. 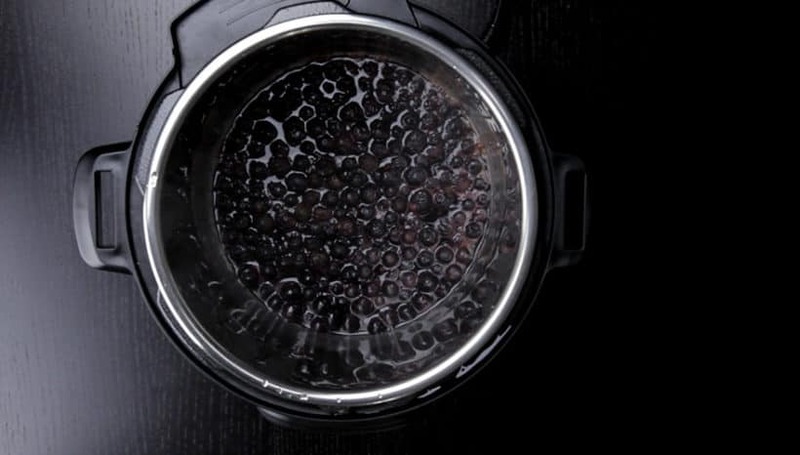 Wash Blueberries: Rinse 1lb (454g) blueberries under cold running water. Cook Blueberry Compote: In a saucepan, add blueberry, lemon zest, lemon juice, cinnamon powder, and salt. Cook over medium low heat until blueberries burst. Occasionally stir with a wooden spoon. Sweeten: Once the blueberries have burst, smash some of the blueberries to release their pectin. Taste and sweeten with maple syrup or white sugar until desired sweetness. Give it a few quick stir and the compote will thicken slightly as it cools. Can I use honey to sweeten this or do I have to use maple syrup / white sugar? 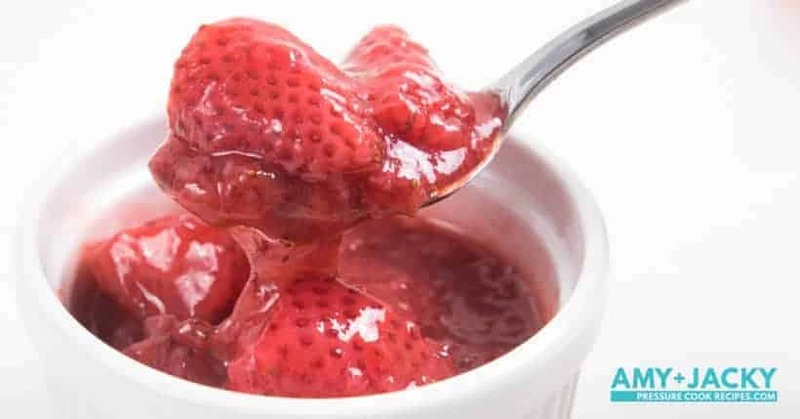 Hi there, I was reading the comments and one wrote “Can this compote recipe be processed in a water bath or frozen?”. So my question is can this be canned (processed in a water bath with canning jars). I just started canning and this looks like a wonderful recipe and also something good for holiday gifts? Thank you for your question. To my best knowledge, this can be water canned. If you can, please confirm this with a water canning group/community. Another awesome Amy & Jacky recipe! I made this to complement ricotta pancakes on Christmas morning. 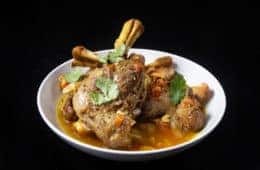 You just cannnot go wrong with any of your recipes. 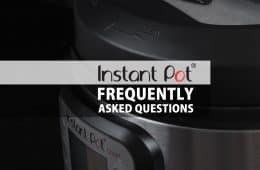 I direct ever Instant Pot owner to your site. THANK YOU for the work you do and how thoroughly you explain everything! Hehe, the glossy thing is kind of confusing. The compote should be able to coat a spoon when it is thick enough. Turning on or off the heat doesn’t matter as the keep warm mode will not kick in well after pressure is released. 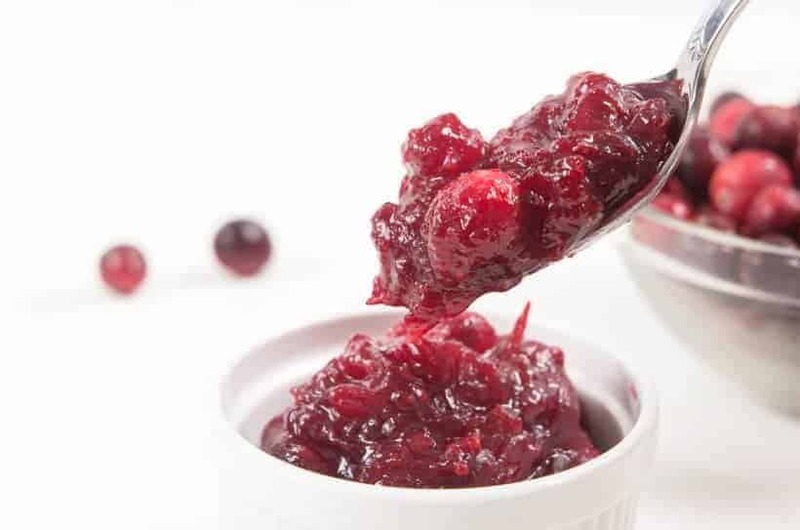 Can this compote recipe be processed in a water bath or frozen? The compote can be frozen. I noticed with your fruit compotes. 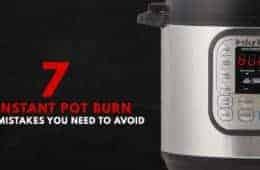 You don’t add water to the Instant Pot. Won’t they burn? It will be fine as the juice will be released from the fruit. Can I make this with raspberries? Yes, you can use raspberries for this. Would cooking times change if I used frozen blueberries? Can this be made with a berry mix like Trader Joe’s medley of blueberries, raspberries, & blackberries? This can be made with frozen blueberries without changing the cooking time.